Savage X Fenty, the lingerie line by Rihanna, was an absolute hit at New York Fashion Week. The presentation on the runway was empowering and inspiring. With such an inclusive group of models, the line was shown off by women of all races and body sizes, including pregnant women. A true celebration of women. The importance of representation does not just stop at the models, but also includes the creators. This past year, multiple magazines have focused on celebrating photographers of minority. Huck Magazine created an all-women documentary photo special for their latest issue. Taking on the issue of having primarily male photographers, the magazine showcases the work of women who who use their experience to frame their idea of femininity and womanhood. The NY Times published an article focusing on the online platform Foto Feminas, a community for emerging photographers in Latin American and the Caribbean. Showcasing women who are working around the world, Foto Feminas is an amazing platform to use to discover photographers that you might have never known of. Santo Domingo de los Tsáchilas during a cleansing ceremony, June 2013. The Tsáchilas, an indigenous group situated in the foothills of the Andes in Ecuador, use the red achiote seed during ceremonies and paint their heads with it as a tribute to this plant that cured them of chickenpox during the Spanish colonization. Tyler Mitchell becomes the first black photographer to shoot a cover for Vogue. 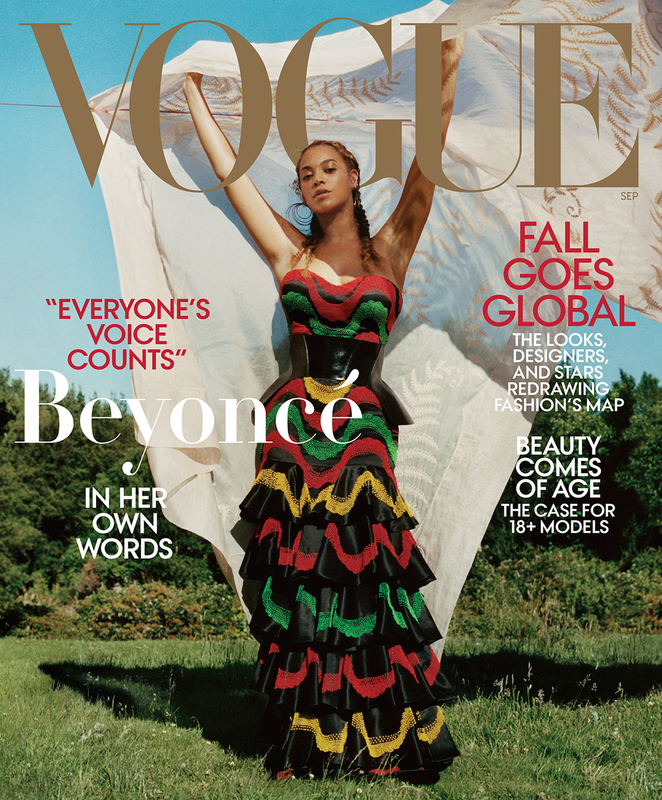 In an NPR interview, Mitchell states that he “sees the opportunity as something the entire community of African-American photographers has been working toward.” Mitchell’s cover photograph features icon figure Beyonce for the September issue. Teen Vogue comes out with a 3-cover issue showcasing Jillian Mercado, Mama Cax, and Chelsea Werner. The cover and story for these three disabled models highlight the necessity for representation in media. This past year was filled with these powerful moments in history that should be celebrated, remembered, and used as inspiration for the future. We are so excited to see more companies embrace the inclusive, diverse, and empowering movement that is changing the fashion industry. Here’s to the new year!